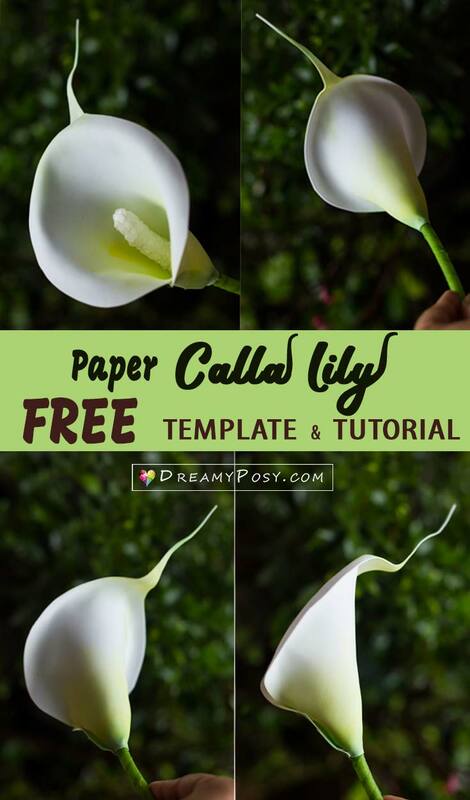 This is the free template and tutorial to make paper Calla Lily and its paper vase. 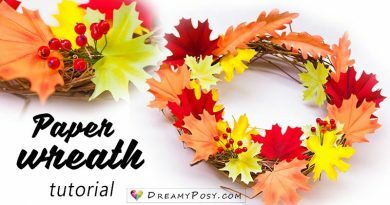 This is super easy craft. Sure, you will find that the hardest part is finding the foam paper. My apology for the bad photo quality in the video as this is the first tutorial I made. To start learning to make the paper flower, go to 0:55, as the first section is the tutorial to make the paper vase. 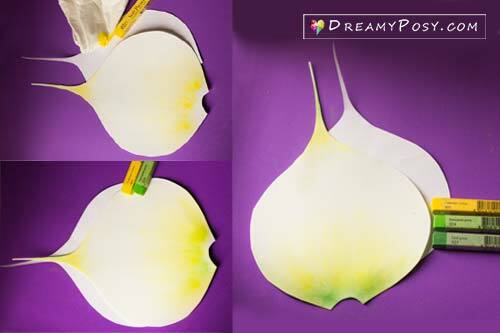 Step 1: Download the free template for Calla Lily petal and paper vase. If you don’t have a printer, just apply a paper on your screen and trace the template with a pencil. Using a dried tissue paper or fabric cotton to help color the pastel chalk easily. 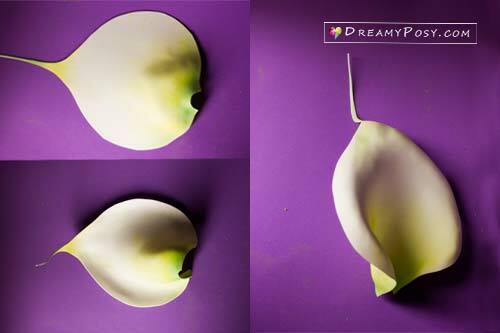 Blending the yellow, lime green and green to help the petal more realistic. 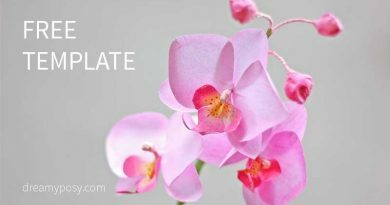 Please remember to color both sides of the petal. Use your fingers to stress out the paper and make the petal curves. Please refer to the video tutorial above for clearer instruction. 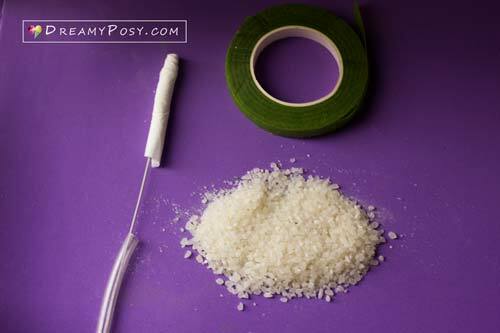 Cover a lot of white glue and grounded rice on the stamen head. 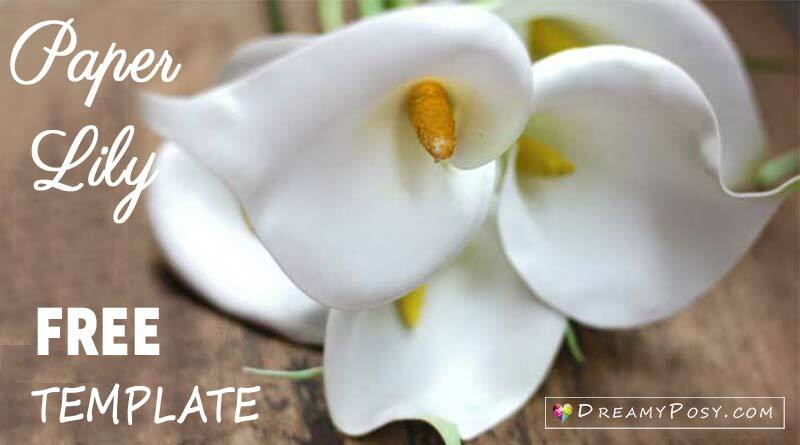 The natural color of rice is quite similar to the natural white stamen Calla lily. After trying with the yellow stamen, I prefer the white one. 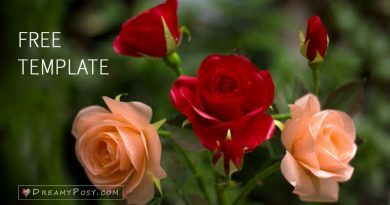 I have tried many ways to imitate the original stamen for previous 7 flowers, this is the best and the last one, so I share this way only. 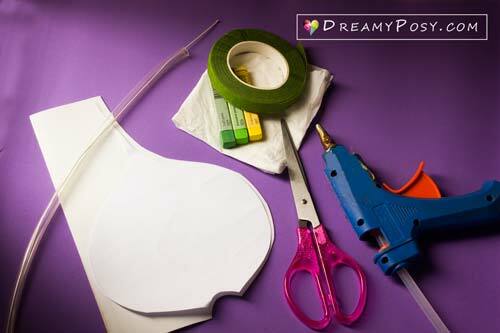 Use the glue gun to attach these together firmly. Step 7: Wrap the petal over the stamen and use the glue gun to attach them together. Metallic 250gsm paper for paper vase making. 0.6mm white foam for flower petal. Please make sure that it’s the thin one (<1mm). Pastel chalk for coloring the petals. These DIY paper flowers could be arranged in the vase or you could make it as a beautiful wedding posy :). 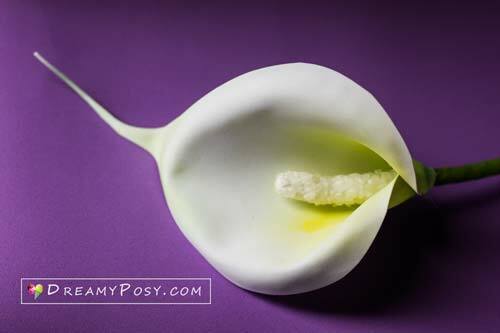 The Calla Lily has so many other colors. Try with other color foam paper, or you can color it with oil pastel color. 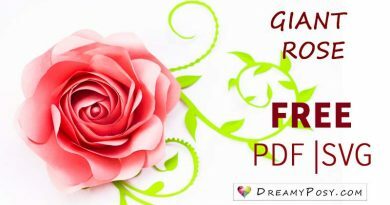 We provide completely free templates and tutorials on this blog and work hard to earn our living from the advertisements you see on each page. Kindly help by sharing our posts and pictures with your friends, but please do not share our templates directly. We really appreciate your support and look forward to your requests and comments. Hi, when i click the template i cant found and print it. Sorry, im trying. Pls try again, I’ve checked and the template is still there. 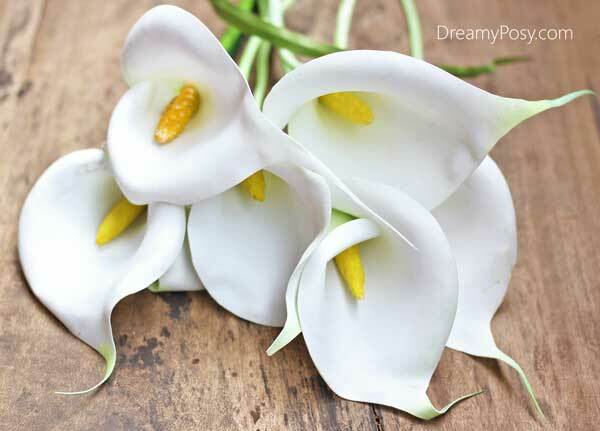 I did not found anywhere your included free calla lilly template as you claimed feel desapointed thanks any way. I absolutely love your beautiful creations!! Could you please tell me where you found 0.3 mm foam paper? Dear Vanessa. You could search for Foam Iran. I saw some suppliers from China, Russia and UK. I have sent you a UK supplier on Facebook, pls help to check. Thank you. Thanks Edith, I’m will keep you posted soon.